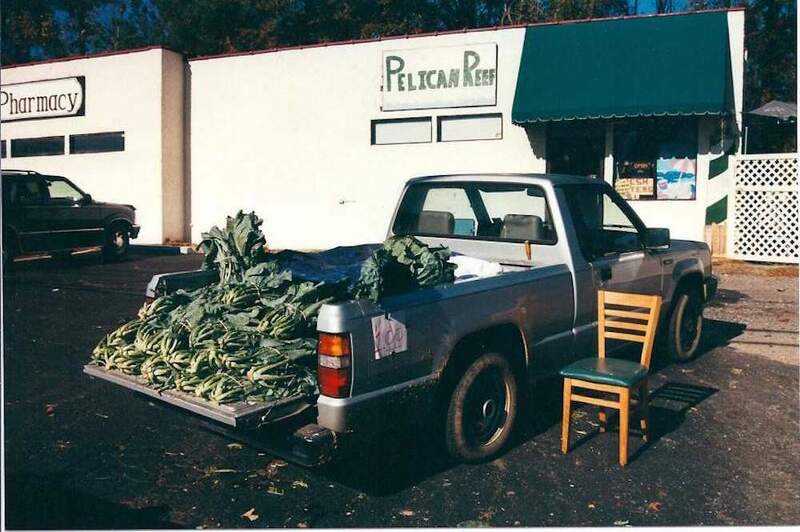 A truck farmer selling collards in Wadesboro, North Carolina. Photo courtesy of Edward H. Davis. Driving the Deep South’s back roads in late fall or winter offers glimpses of a shade of green bluer and darker than most of the vegetation you’ll see, arranged in garden rows with hints of purple and yellow. The untrained viewer—just trying to keep eyes on the road, for goodness’ sake—may not realize that these verdant patches are in fact a unique marker of American history: the beloved, if at times belittled, collard green. Collards are unknown in most of the world but they are raised in thousands of Southern gardens and eaten in the homes of thousands more Southerners beyond, making them the most popular kind of cooked green in the region. Yes, in some parts, the people prefer turnip greens or mustard greens, but collard consumption is higher overall. The U.S. Department of Agriculture estimates that national per capita consumption of collards is 1.3 pounds per year, versus 0.4 pounds for turnip greens and 0.3 pounds for mustard greens. The department doesn’t calculate consumption by region or state, but because the South is where most cooked greens are eaten, per capita collard consumption in the region is presumably even higher. As home gardens have been in decline, collards also have become widely offered in the “meat and three” restaurants of the region, where patrons flock for their favorite local fare. Collards—chewy, bitter-tasting, foul-smelling—are arguably the most uniquely Southern food. But what makes them so is not just that few people outside the region eat them. Rather, it is the story of collards’ origins: a particularly American tale. Southern gardeners took to these greens because of a crucial mixing of cultures in the region during the early 1800s, born of the trans-Atlantic journeys of two strong traditions, African and European. Most enslaved people in the South were taken from West Africa’s tropical forests and nearby coasts. Today, communities in countries like Ghana and Nigeria maintain a sophisticated knowledge of when, how, and where to gather and prepare leafy greens rich in iron, vitamin A, vitamin C, thiamine, and micronutrients. In the 18th and 19th centuries as well, West Africans knew and used hundreds of species of edible and nutritious greens. African traditional wisdom prescribed the regular consumption of these plants, and wisely so. As a result, many people in the region ate an unusually healthy diet for the time. Forced into captivity and onto ships, West Africans could not bring much with them beyond the courage and knowledge they had before capture. On plantations of the American South, white traders and owners separated individuals from their tribes to prevent organized resistance, making sure that African languages were lost. But foodways are resilient, and the enslaved people must have conspired to find the greens they had known and loved. Historians tell us that they often foraged for food on their owners’ land, but the native vegetation of the South provided few edible wild plants in fall and winter. So, we think, they turned to the collard (at the time, spelled “colewort”), an import from the British Isles. 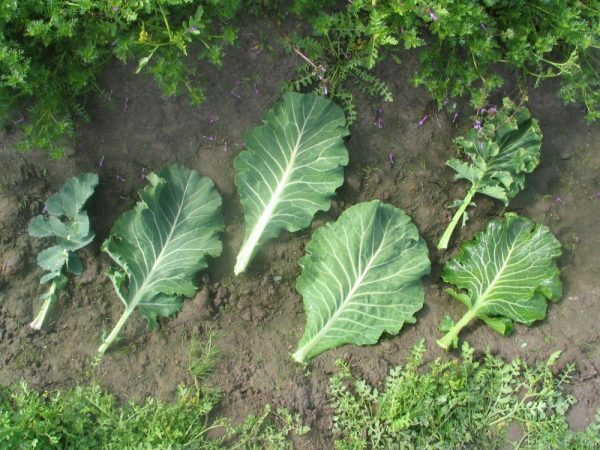 Collard “landraces” demonstrate variation among plants. Photo courtesy of Edward H. Davis. British settlers brought many vegetable seeds with them when they arrived in the New World. There were many reasons for this practice. First, the English, Irish, Welsh, and Scots were slow to adopt the foods of the American Indians; they had the skills and preference for producing European vegetables and fruits. Second, Old World migrants during the Colonial era had a long tradition of seed saving. Wherever families traveled, they carried seeds handed down from their ancestors and neighbors. A new community likely had dozens of varieties (called landraces) of each kind of vegetable on hand to test out. Seed savers might decide what to plant based on local climate and soil conditions—as many still do in subsistence farming regions of many countries. This tradition is one reason for the amazing genetic diversity among garden plants around the world before the conquest of our food system by commercial seed companies. One seed carried over from Britain was that of the collard, a species that offered many advantages for American gardeners. A single collard plant can produce a steady supply of edible green leaves, far more than any related plant, allowing weekly harvests for months. It does this in cold weather, when nearly every other domestic garden plant struggles to produce anything. Then, the following June, the collard plant produces more than 10,000 seeds. The nutritional value of collards is higher than that of nearly any other vegetable. For a poor family, free or enslaved, a garden patch planted with collards could provide a way out of starvation. By the early 1700s, as the settlement of the colonial South was picking up pace, collards were losing popularity in the British Isles, giving way to their close kin, the cabbage—a plant that stores longer and ships better, making it a more practical commodity for trade. Dozens of other garden plants, such as peas and carrots, also were more fashionable than collards. The bitter leafy green, which had disappeared from British cuisine by the 1820s, might too have been dropped in the early years of the nascent Southern American cuisine. Living in America as enslaved people, West Africans saved the green from extinction. We have no direct record of how this happened. We do know, however, that many faced serious malnutrition, and that, thanks to their traditional wisdom, they appreciated better than the British-Americans the value of cooked greens for nutrition. Enslaved people, like poor whites, must have discovered the collard’s unique productive capacity, which allowed it to sustain any poor family through the cold winter. Travelers to the South in the early and middle 1800s, including the renowned landscape architect Frederick Law Olmsted, wrote that the gardens of poor folk—black and white, slave and free—included collards. Recently, my colleagues and I decided to test out competing claims: Do all Southerners love collards, or do only African Americans eat them? Driving across 10 states, we mapped collard gardens and seed savers, local restaurants and colleges that served the greens, which vegetables are sold most in local grocery stores—even which seeds sell best in local hardware stores. Our maps showed that in areas settled by 1800 by a mixture of whites and blacks—particularly the eastern Carolinas, southeastern Virginia, and Southern Georgia—people, all people, still prefer collards. One day in November of 2014 I was drawn to a house in the tiny hamlet of Supply, North Carolina. There was a collard patch beside the house; the beautiful plants varied in height and color: some leaves were greenish-yellow, and others slightly purple. An elderly black man answered the door. His name was Levi. I introduced myself and told him I thought his collards were pretty unique. We walked through his garden. He had known for years that he was producing collards different from those grown elsewhere in the community—and he proudly shared with me his seed story. He had never liked collards but his late wife had loved them, so he started growing them when they married in 1968. He had gotten the original seeds from an old friend, who, in turn, had gotten them from yet another old friend, whose family had saved those seeds, people said, since the 1800s. Levi lost his wife to cancer in 2005, but has kept growing the collards, giving them away to the people in his church to keep the memory of his wife alive. He gave me some, too. 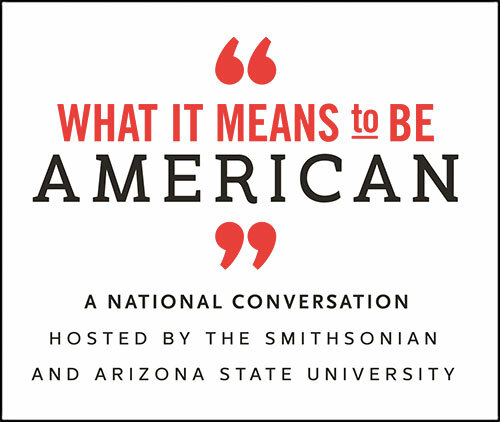 Most Americans know that Indians contributed many of the crops that we consider to be iconic in the United States—tomatoes, peppers, squash, corn, pinto beans. But we might also properly celebrate the collard’s place among this pantheon. Levi also gave me a spoonful of his collard seeds. His collard landrace is now saved and maintained by the U.S.D.A.’s Plant Genetic Resources Research unit in Geneva, New York. The unit’s scientists are among the small number who work to preserve the genetic diversity of our crops, making sure our food supply is healthy in the future. Almost 100 landraces of collard that Mark Farnham, John Morgan, and I collected around the South are maintained there in a seed bank, helping scientists breed disease-resistant collards, cabbage, and broccoli. Most Americans know that Indians contributed many of the crops that we consider to be iconic in the United States—tomatoes, peppers, squash, corn, pinto beans. But we might also properly celebrate the collard’s place among this pantheon. If you wanted an object to represent the origins of our American identity, with its mixture of suffering and hope, you might choose this plant, with its black and white origins, full of nutritional goodness yet bitter, saved from extinction by African wisdom but mocked by so many as something lowly. Like so much about America, the collard green is an astoundingly productive import, with roots in two very different Old World cultures. Search the South with open eyes, away from the fast food and four-lanes, and you will encounter these enduring marks of America’s complex character. Perhaps Southerners, desiring a flag to honor the history and the best qualities of the region, could one day choose to fly a big blue-green collard leaf. Edward H. Davis is a professor and chair of the Geography Department at Emory & Henry College in Emory, Virginia. He is co-author of Collards: A Southern Tradition from Seed to Table, published by the University of Alabama Press.